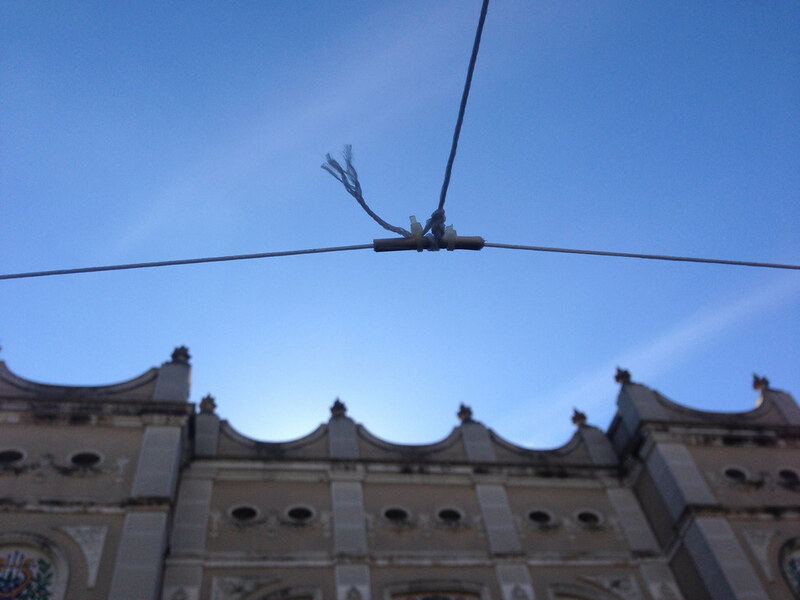 It’s been almost one hundred years since people used to look at the sky. 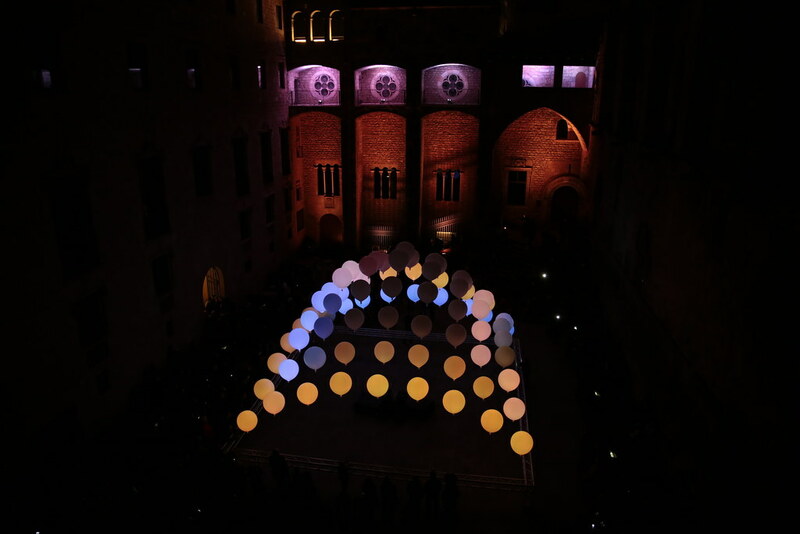 It’s been just one hundred years, but we don’t longer know if the moon grows or decreases, and we can’t distinguish between Venus or the Polar star, and if by any chance, or by curiosity, one night we raise our sight, the artifficial light that we have created dazzles us. 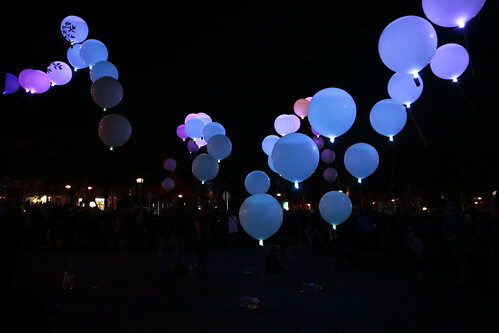 In the cities, the night sky does not exist. 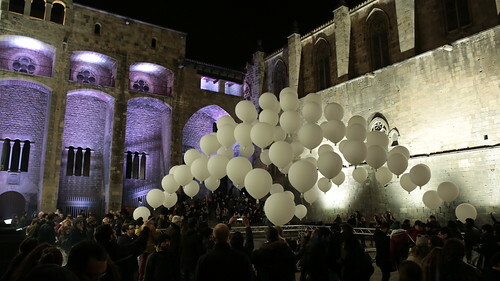 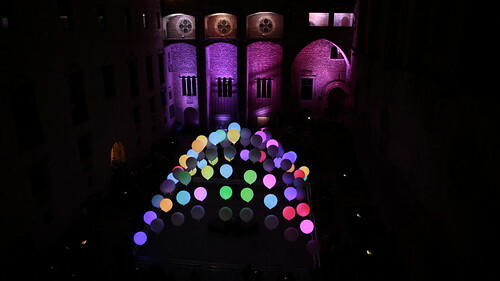 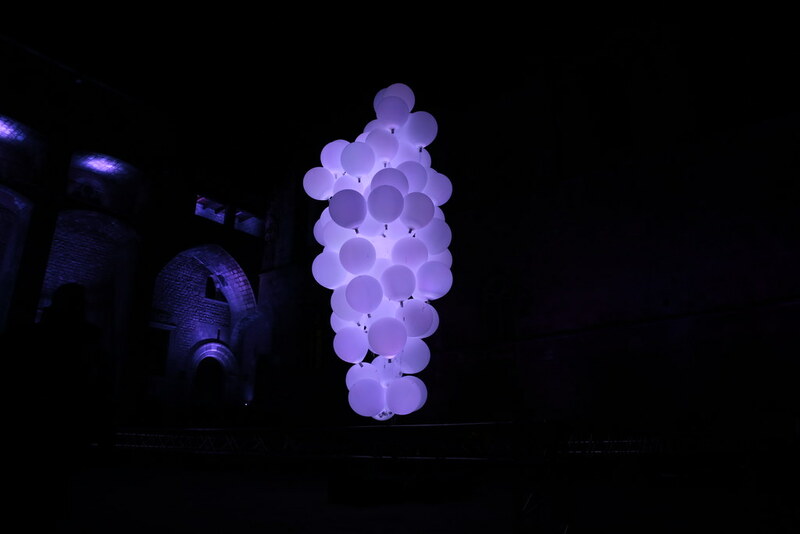 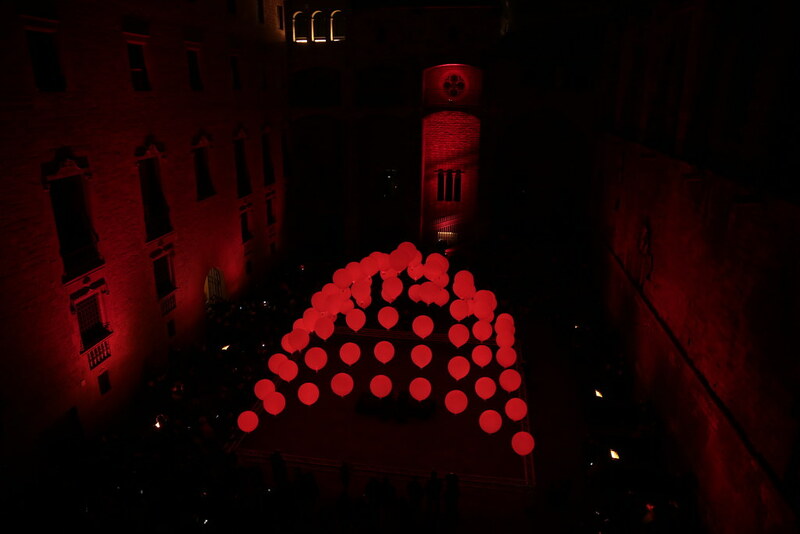 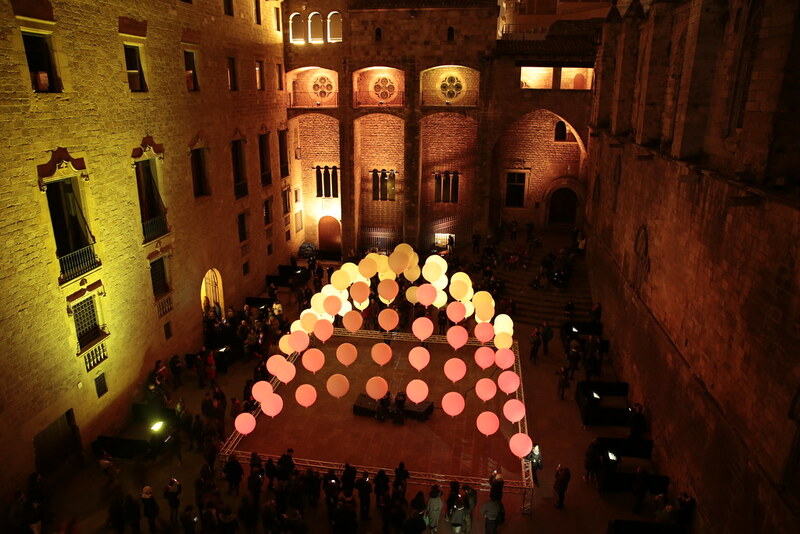 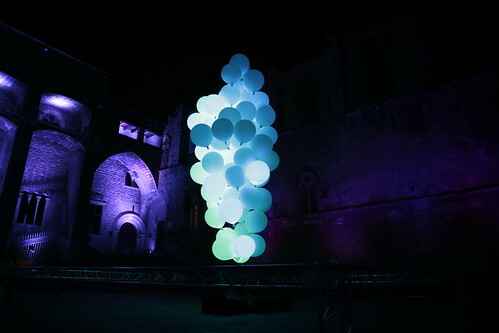 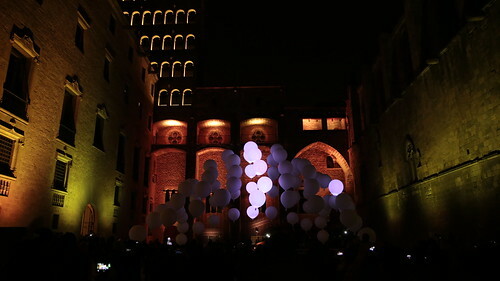 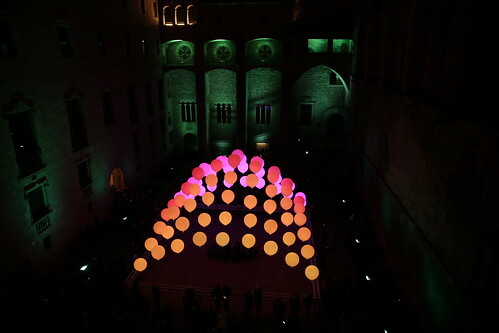 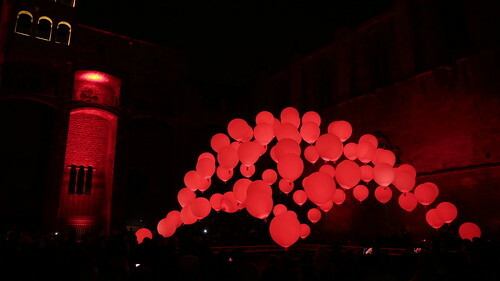 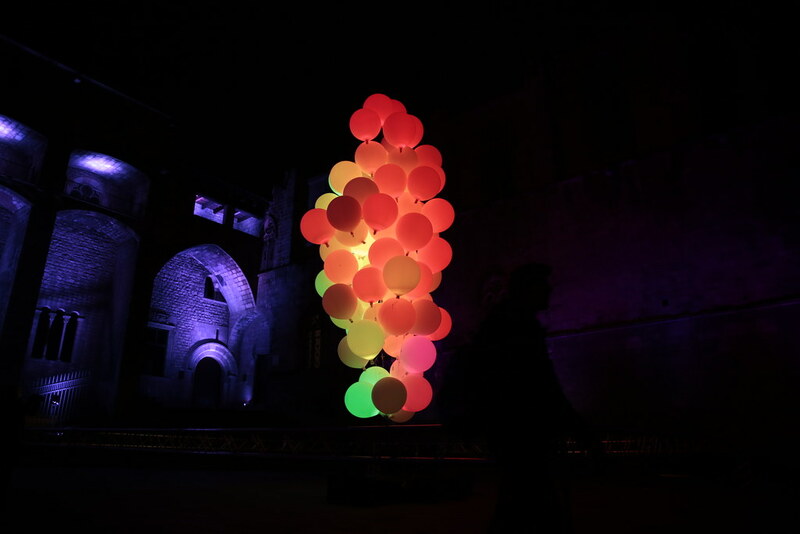 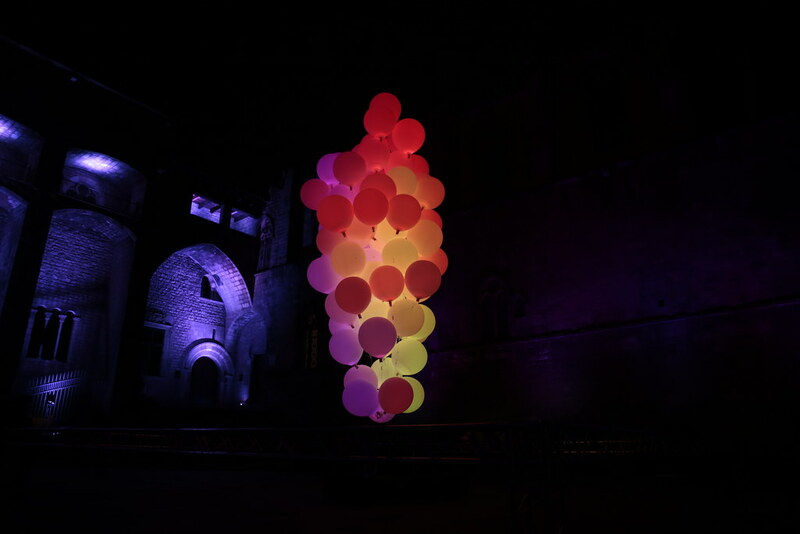 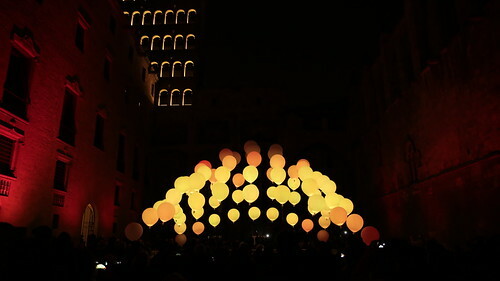 Suspended is based on the suspension to heights of 20 to 40 metres of a matrix of 100 helium ballons of 90cm diameter with an inner LED and a control system that allows to lit them individually, turning them on and off synchronically with the music, thanks to a process of “pixelmapping”. 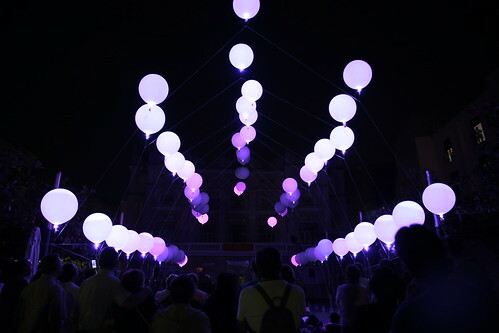 Suspended simulates the apparition of stars and constellations that beat in a big aerial choreography. 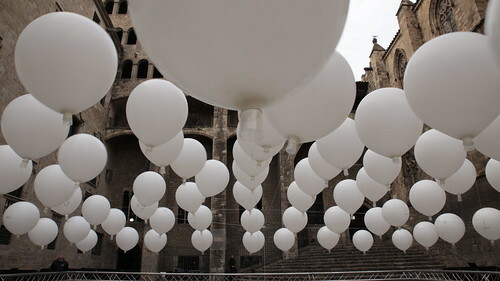 Suspended is a transforming architectural installation. 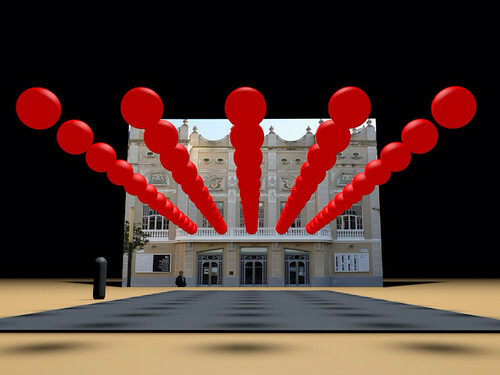 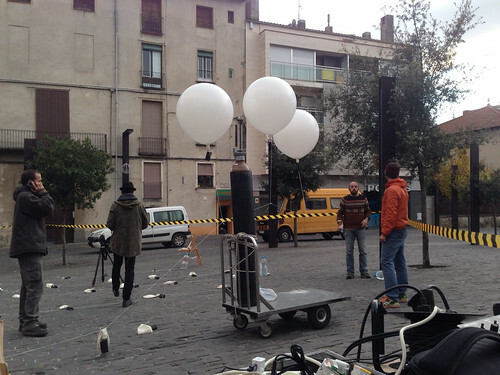 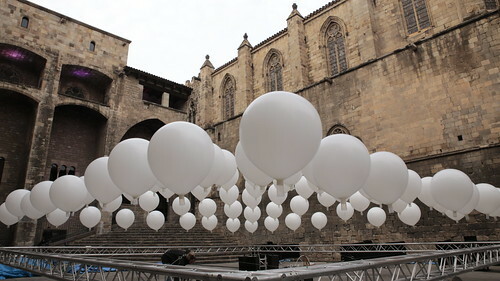 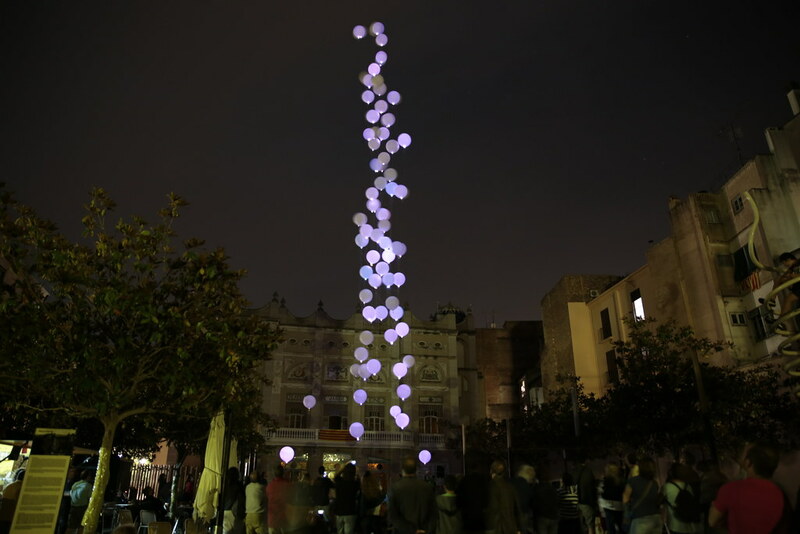 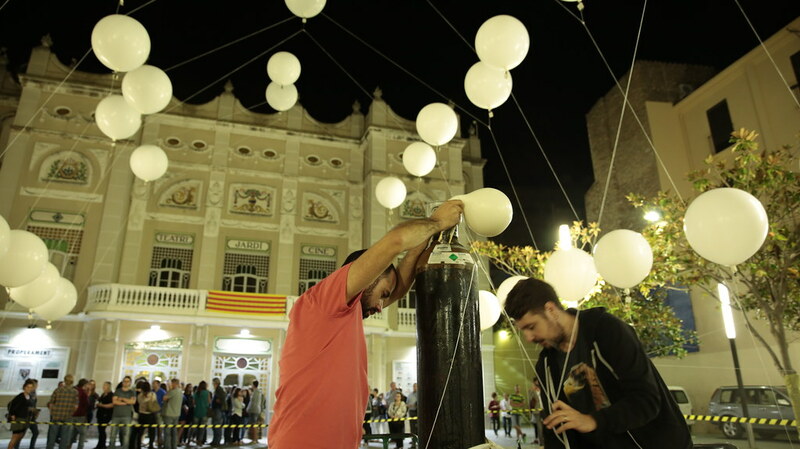 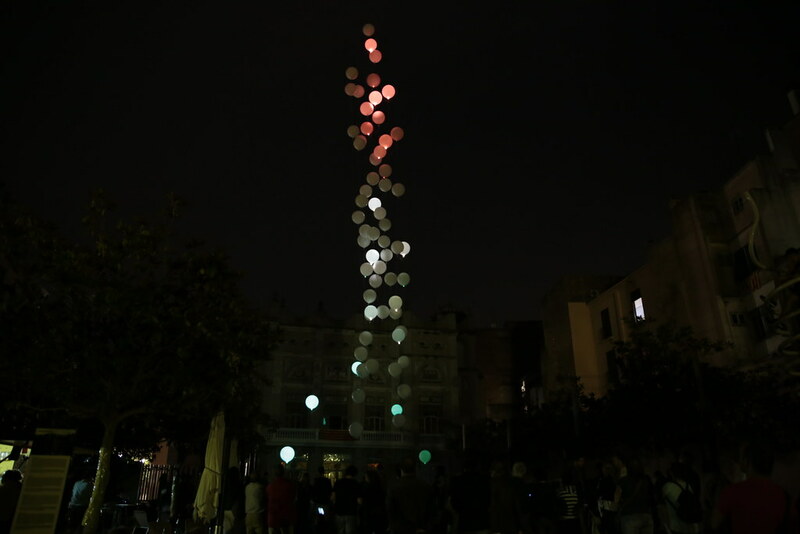 Thanks to a string grid to which the balloons are knotted, the structure that holds the installation can be morphed dynamically, changing it’s form during the time it’s exhibited. 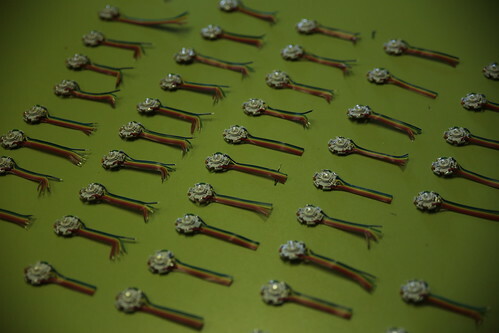 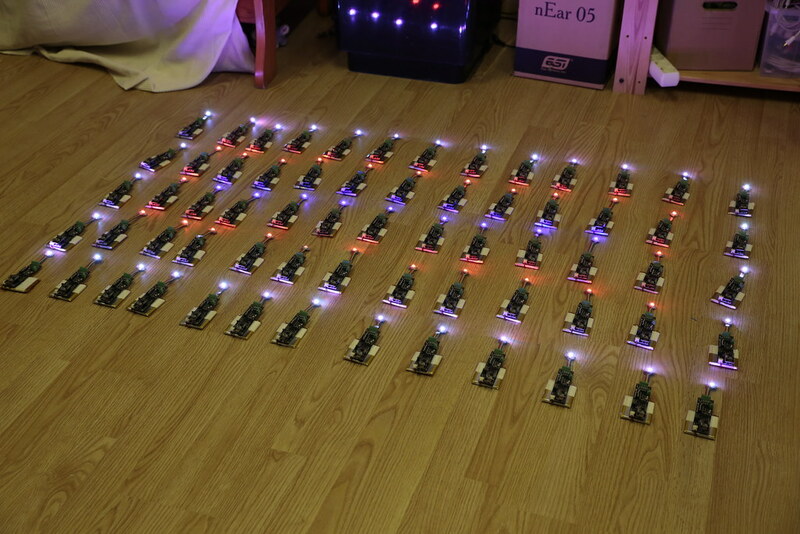 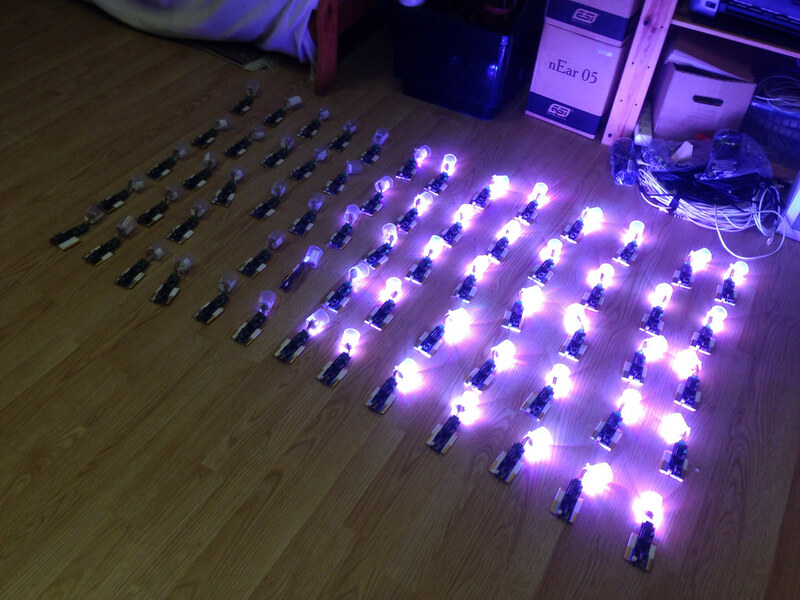 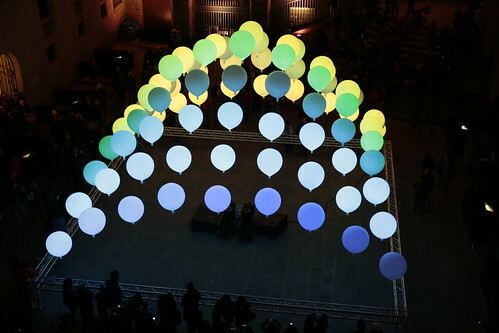 A choreography of trained operators manipulate the string grid constantly, adding even more interest to the light installation itself, and surprising the audience with new and unexpected forms. 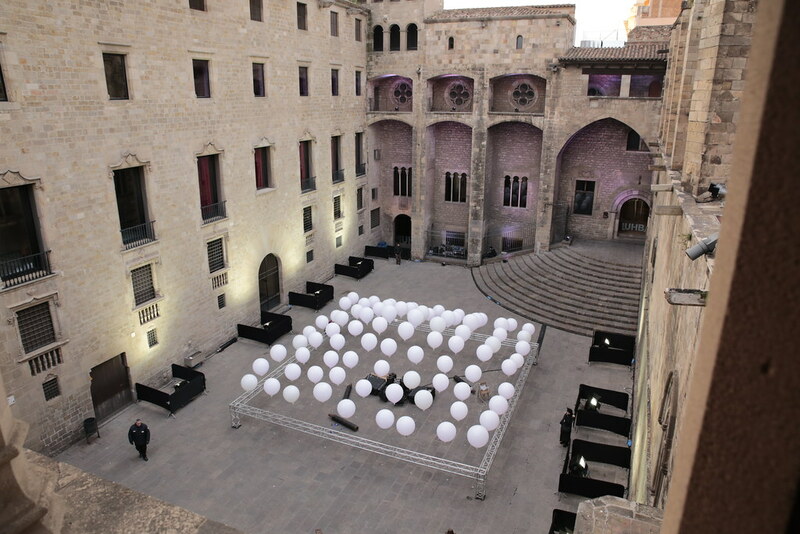 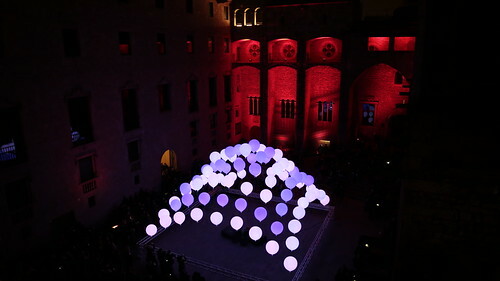 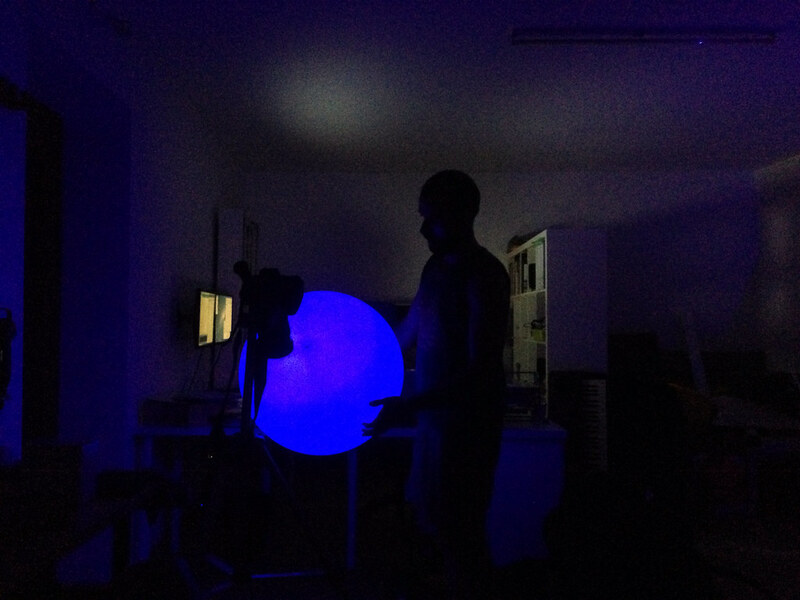 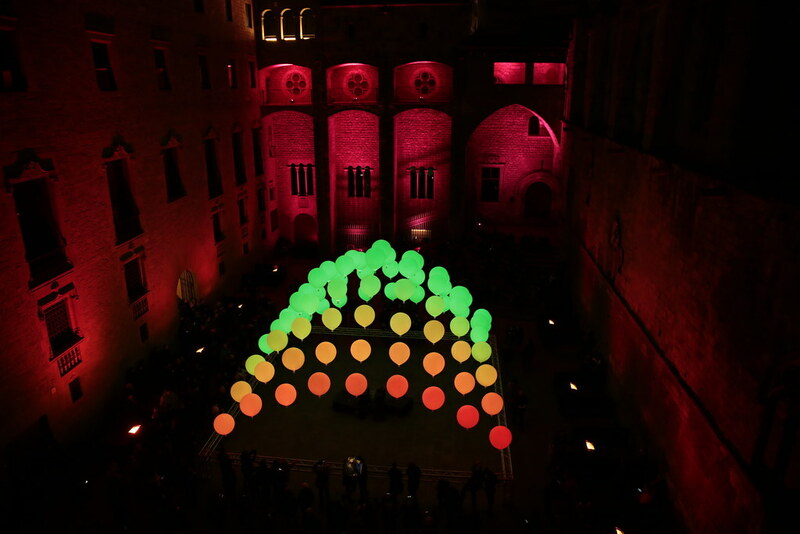 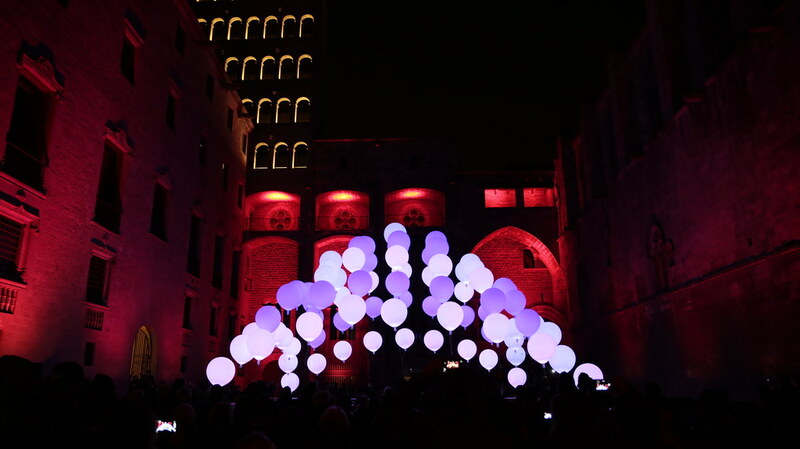 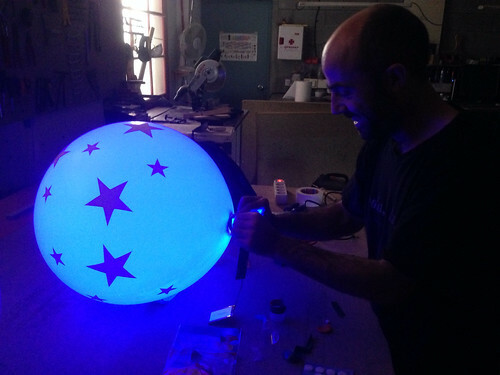 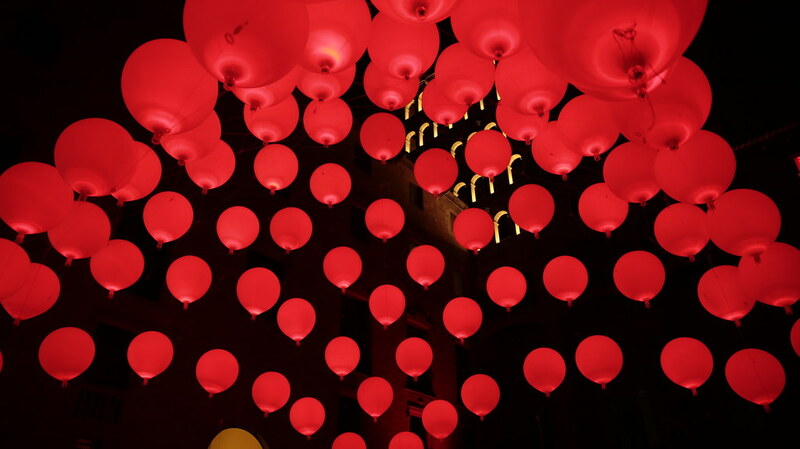 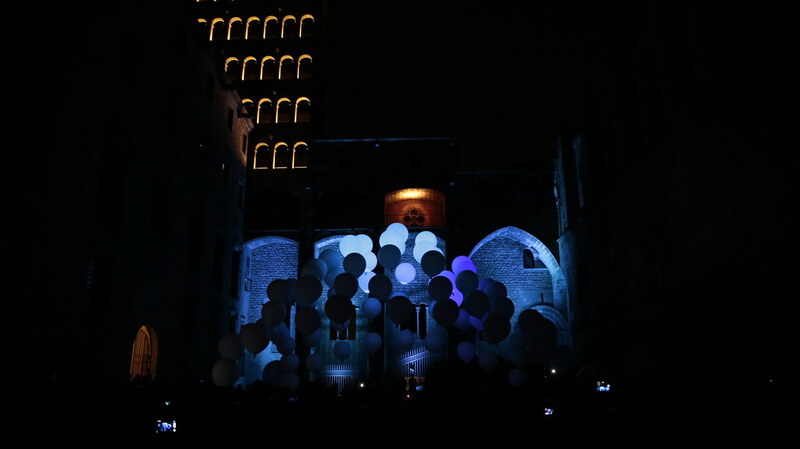 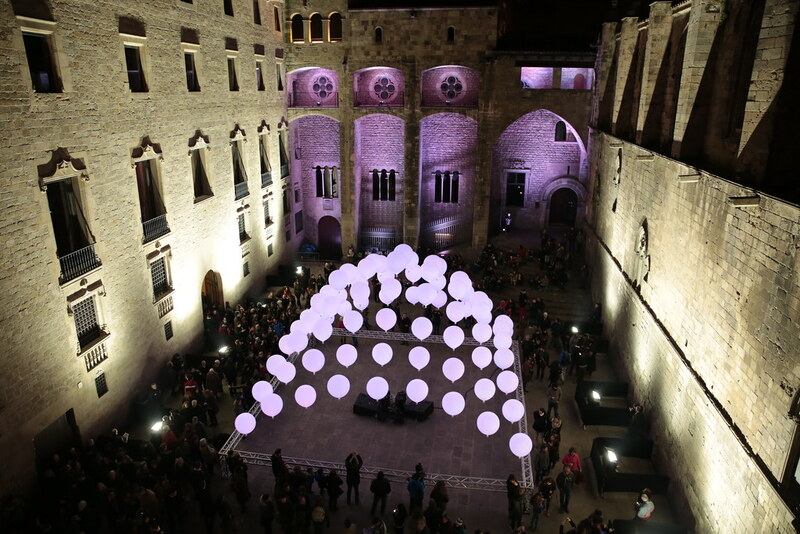 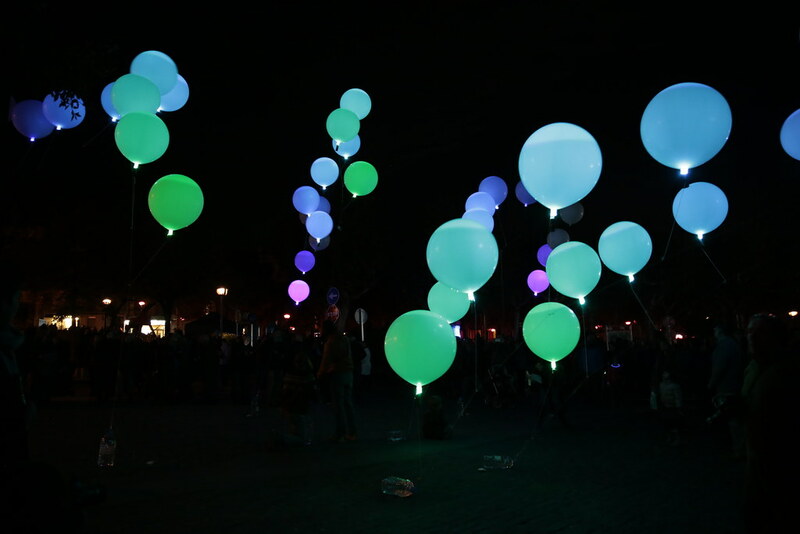 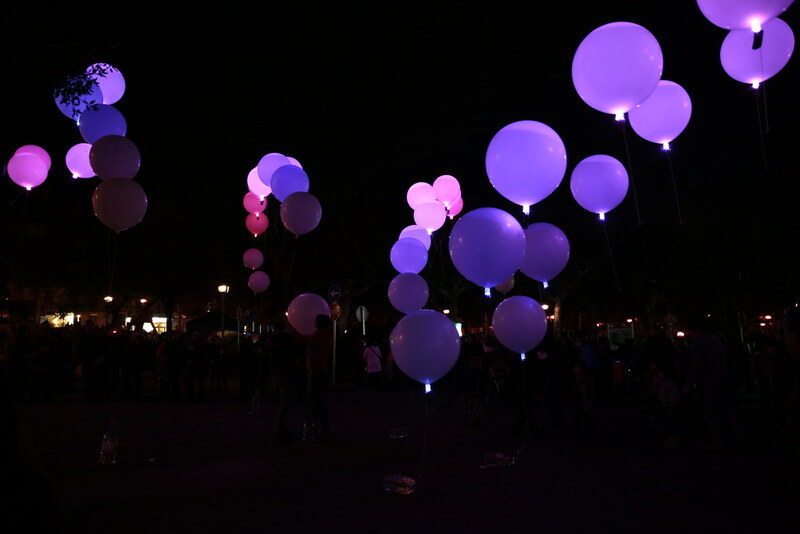 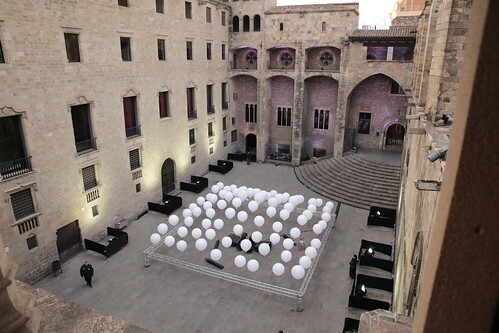 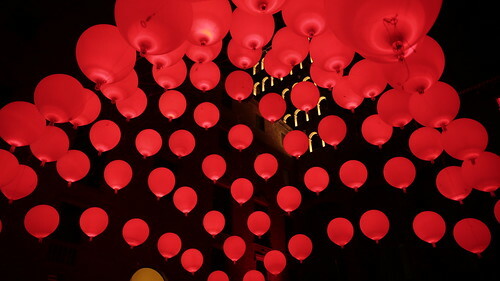 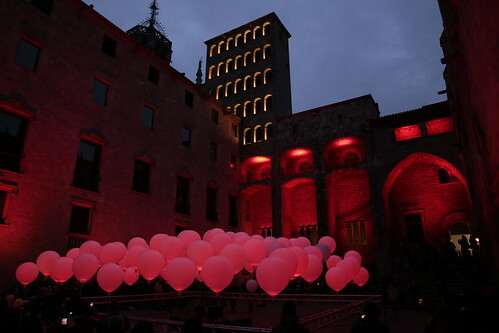 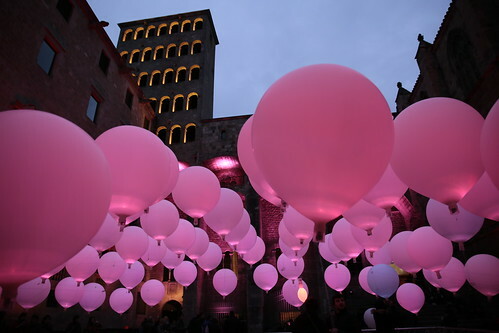 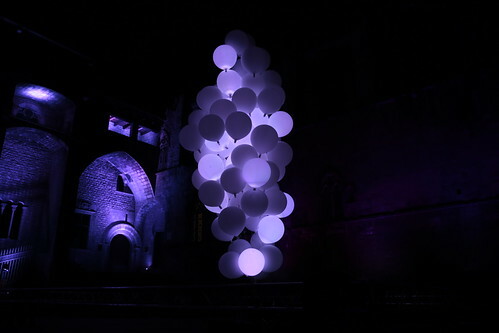 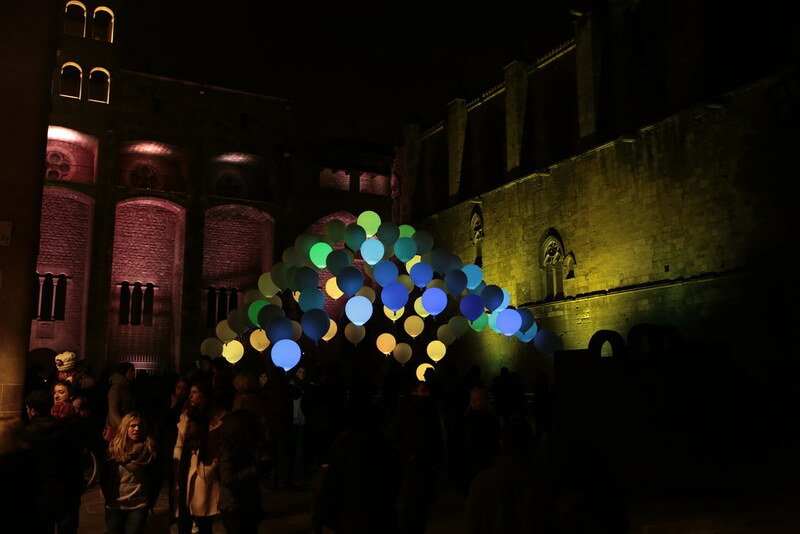 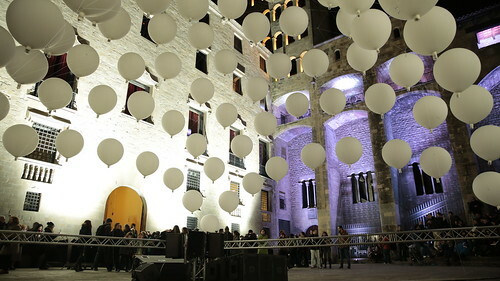 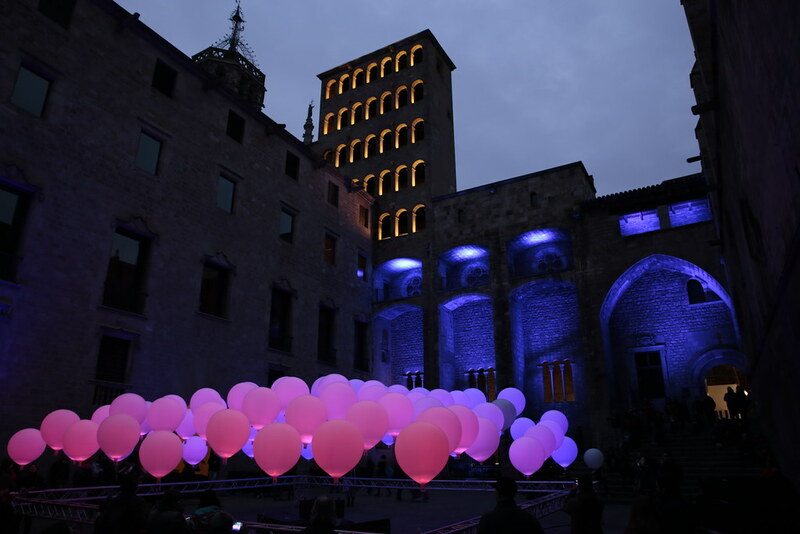 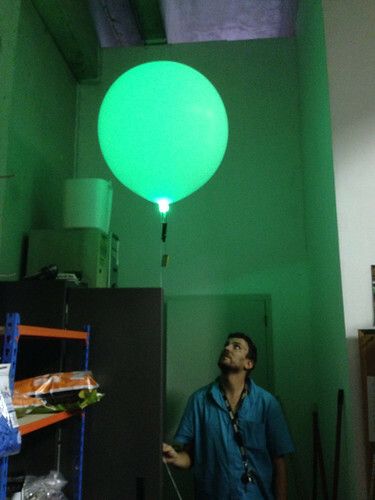 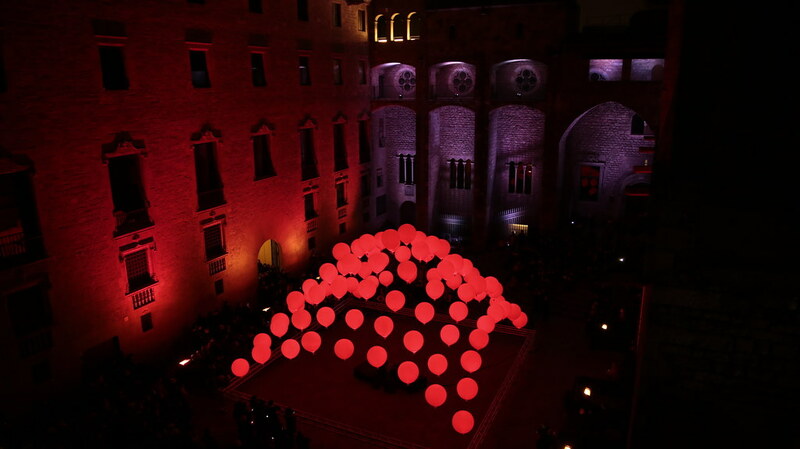 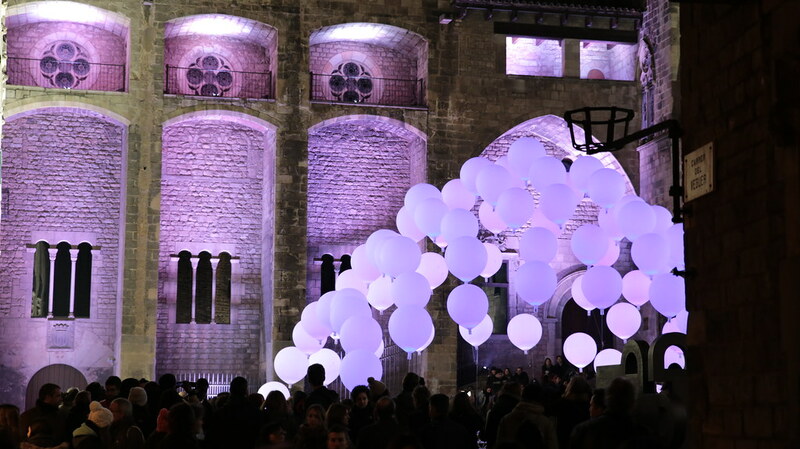  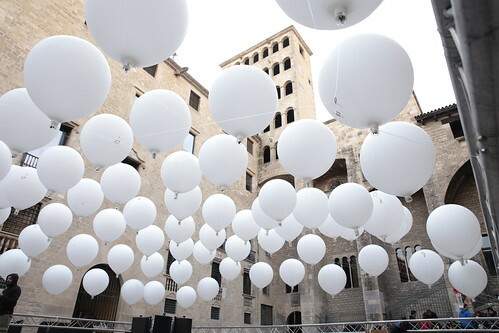 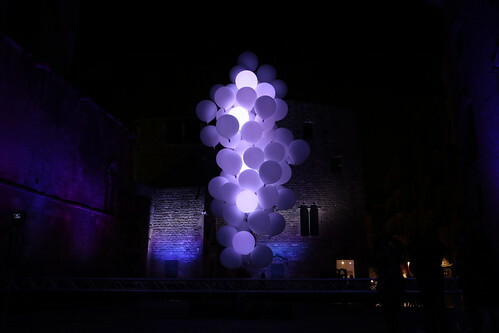 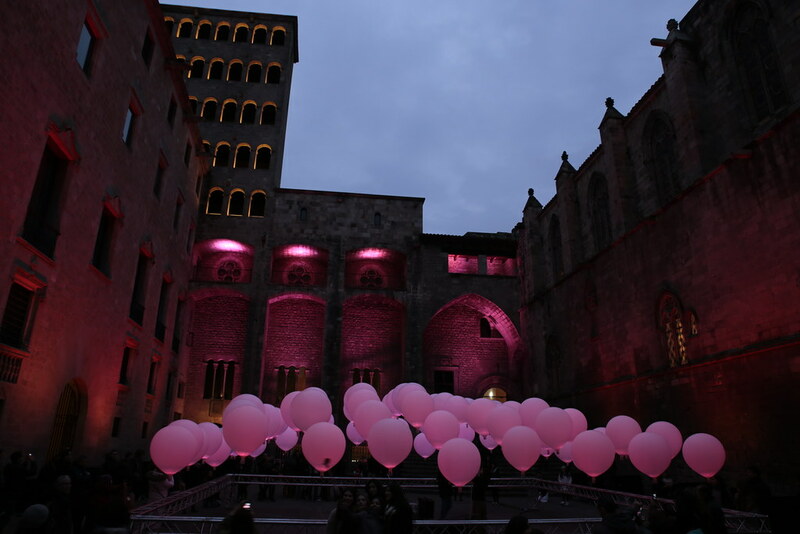 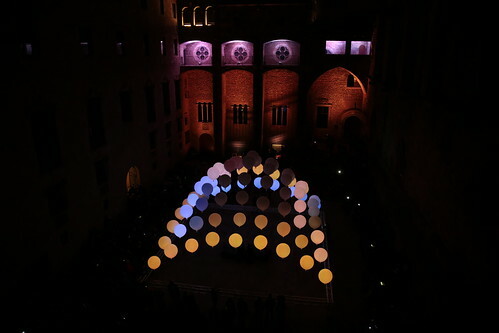 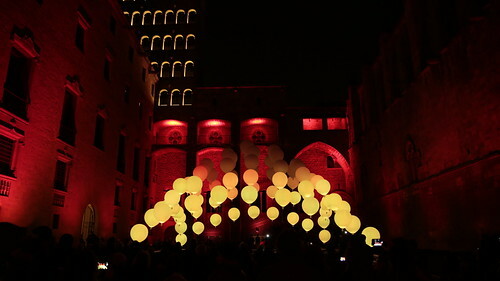 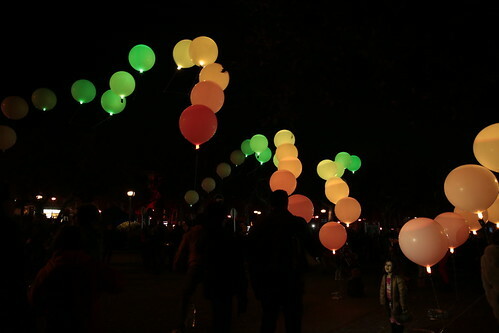 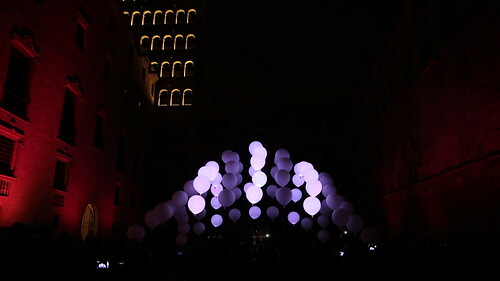 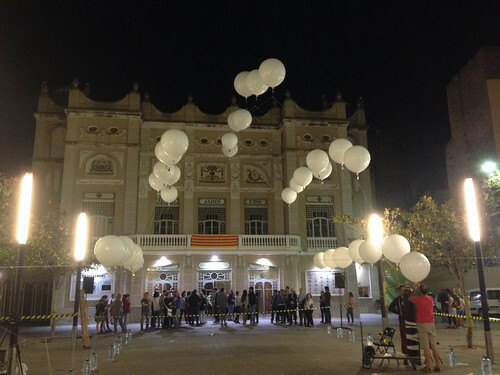 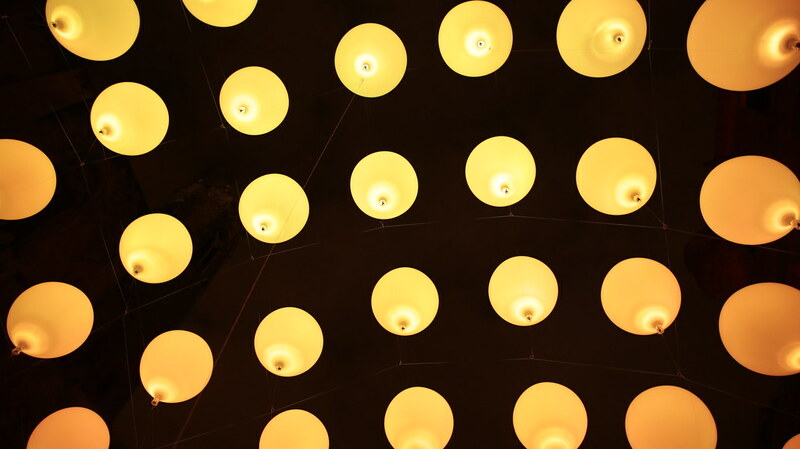 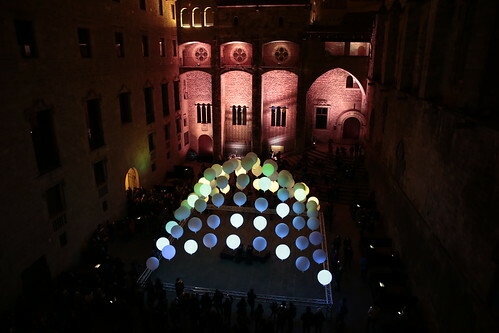 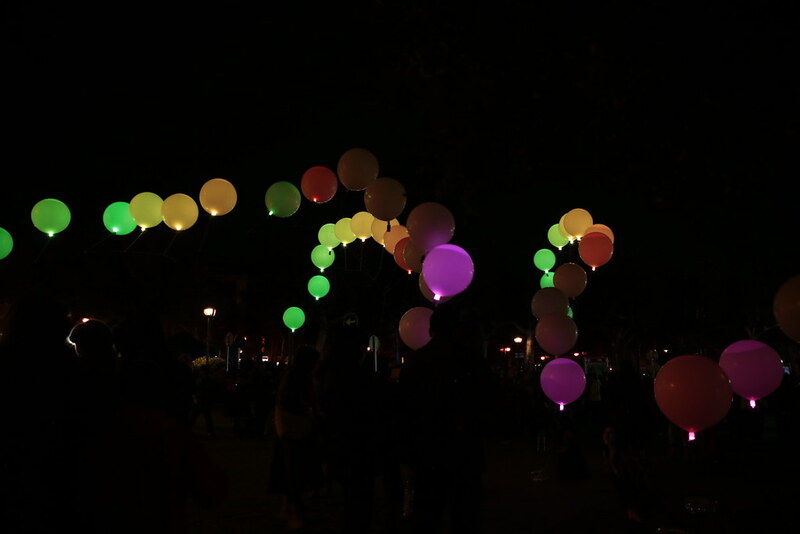 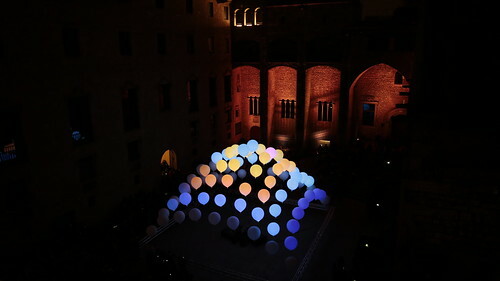 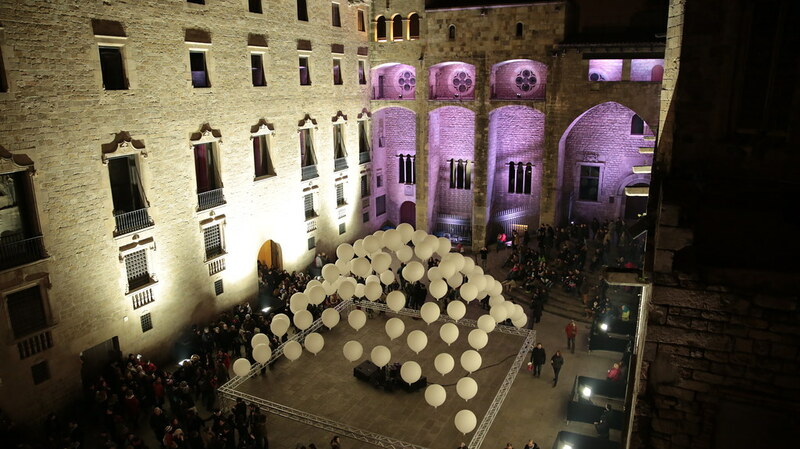 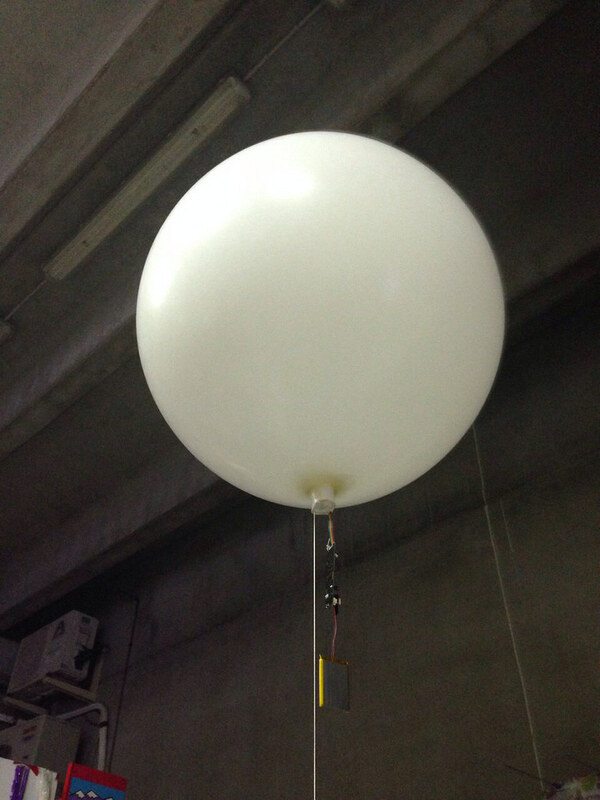 The installation can be held outdoors or indoors, and it includes architectural lighting for the surrounding buildings, which synchronizes seamlessly with the balloon matrix.